With Pipeliner CRM Continuity you supercharge your sales activities throughout the world! 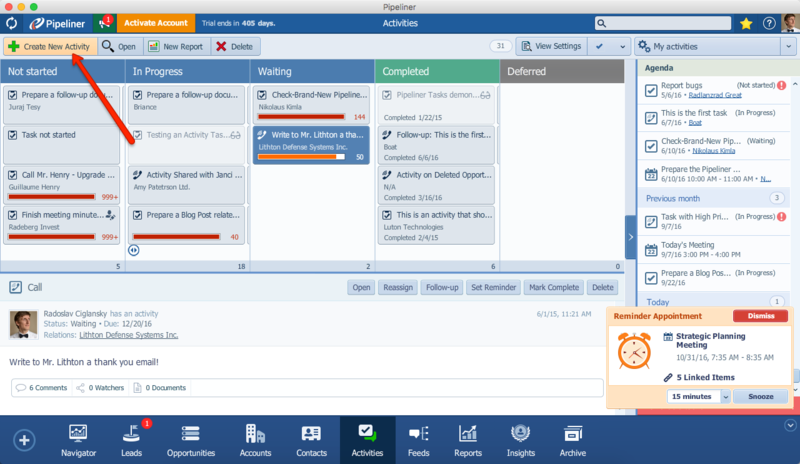 Recently, through exclusive sneak peeks, we have shown you the appointment planner and recurring tasks. Now we bring you even more. 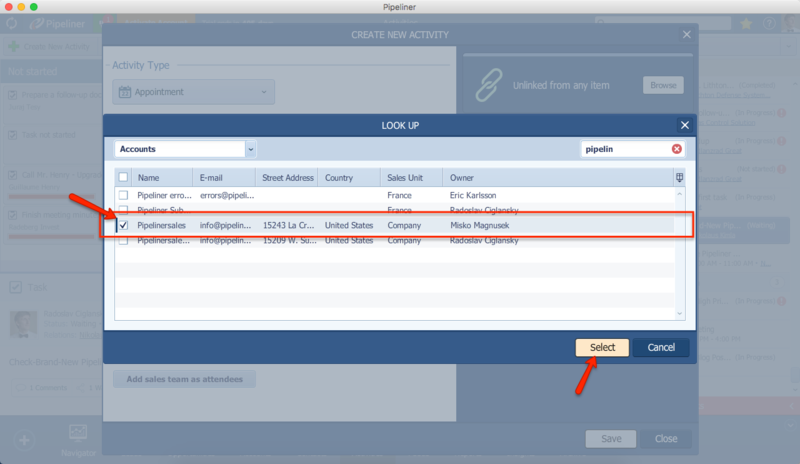 We are absolutely thrilled to announce that with the release of Pipeliner CRM Continuity, you can now link a single activity to multiple records in Pipeliner CRM. This feature is called Activities 1-to-Any. 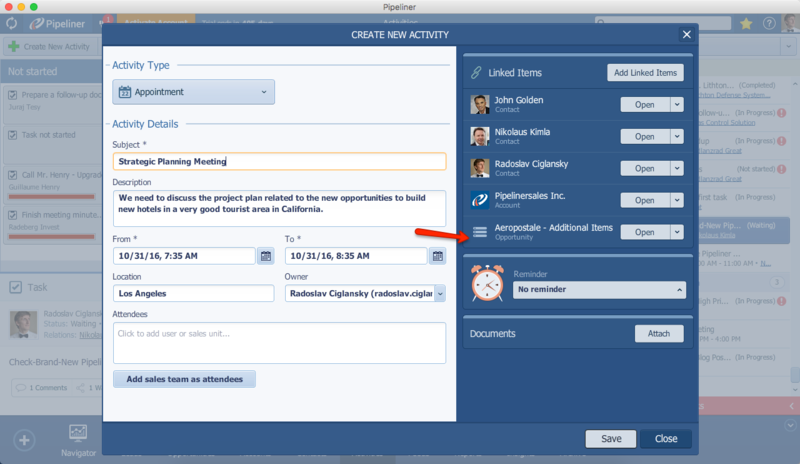 As we were reading your comments on this improvement via the Pipeliner CRM Idea Portal, we understood that this feature is extremely useful for many use cases. Thank you! Appointment – I have an appointment with multiple contacts on a dedicated opportunity. Just link a single appointment to those contacts and link to it that (we hope) winning opportunity. Task – You have to work on a paper for a bigger company. 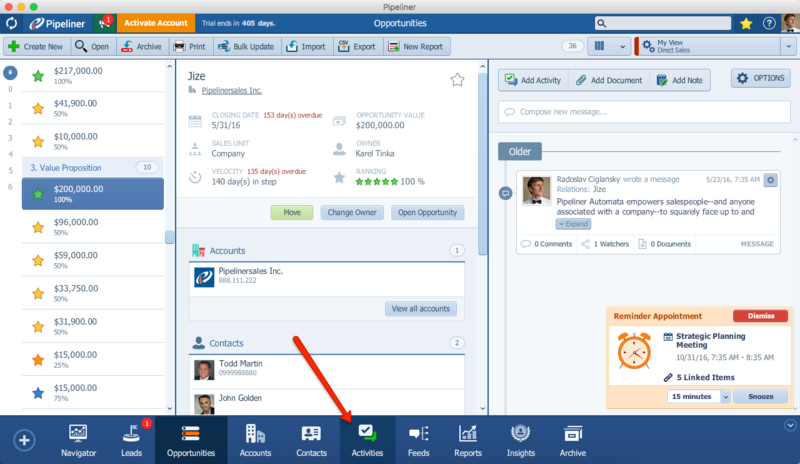 Link a single task to that account, and also link all relevant contacts to that account. Call – You have a call about a potential lead with a contact A from account B. Link all those three records to a single call! 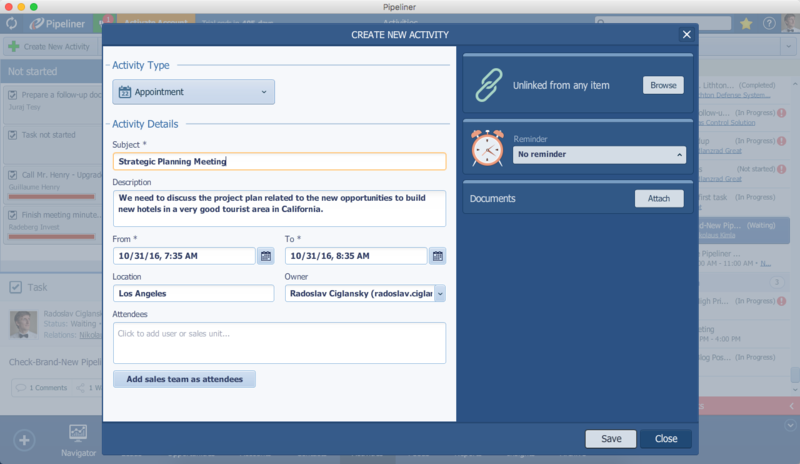 You can link a single activity to any of the main records in Pipeliner: opportunities, leads, accounts or contacts–and mix them all together. There is no limitation on the number of records you can link to a single activity. 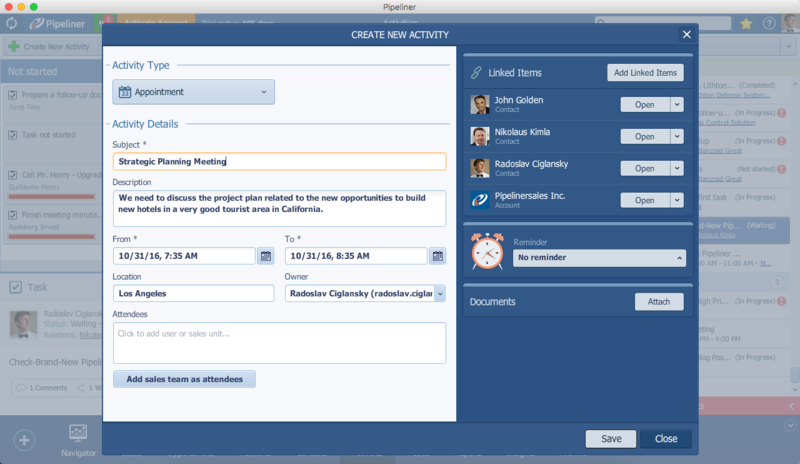 You need to have Business Pipeliner CRM Account. Click on “Create New Activity”. The “create” window for the activity will be opened. Enter the appointment main information–that is, subject, description, from and to, date and location. Now, we are going to link this single activity to an account. Click on “Browse”. By default, you can add “Accounts” first. Find the account and check it. And the end just click “Select” to link it to this appointment. This is how you link a single record to a single appointment. Now, click on the “Add Linked Items” button and we will now link all contacts involved. Now, you can repeat these steps and add a sales opportunity to this appointment. Great. We have just linked a single appointment to 1 account, 1 opportunity and 3 contacts. This feature is really great as it enables you to fully interlink your data. Plus, you can view all those linked records in the activity detail or even report on it. But that’s the topic for the next week.